James took a trip back home to Malta at some stage. I found these in Papers past and a geneology website. The Mr F.Spedderi I'm not sure of him, initials and spelling was not always correct, but may tie in with other dates of 1999 would have been 10 years before his death in 1909. 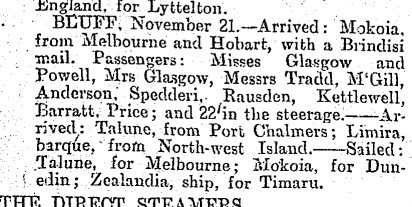 Passenger list to London on the Kaikoura. I wonder if the F was to be a J. If it is he had 4 months to go to Malta his homeland. From London to Albany. Albany was a gold mining town below Perth. 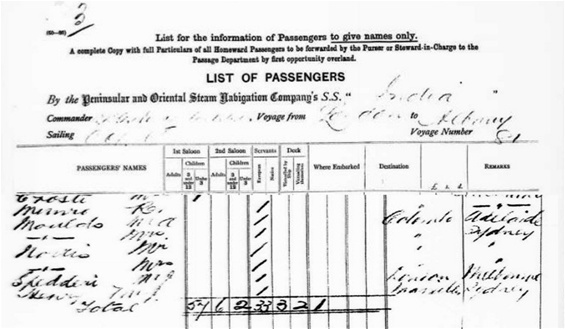 Passenger list to Albany on the SS India. 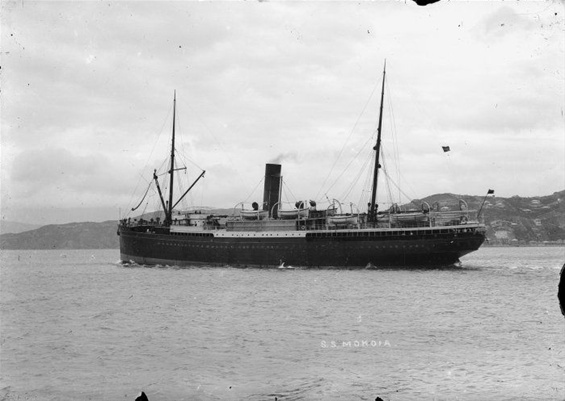 James would have sailed from Albany to Melbourne and then sailed on the Mokoia for the rest of his travels. November 21st 1899. Arrived in Bluff on the Mokoia from Melbourne via Hobart. Moikoia carrying Brindisi mail. Brindisi is a coastal city in the Apulia region of Italy. 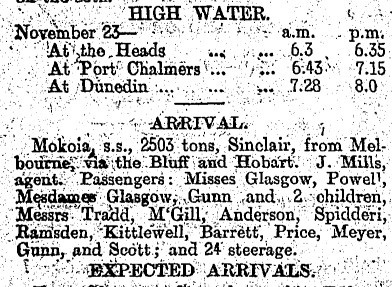 November the 22nd 1899. arrived in Port Chalmers on the SS Mokoia.